Nick Fortune of Susperia-Electrica returns triumphantly to our humble netlabel with his latest creation Intrinsic. And what a splendid album we have in store for our listeners here. In the short while we have known Nick, he has impressed us mightily with his scope of vision, his superb production skills, and his trademark attention to detail. With Intrinsic, he elevates his craft even further, delivering an ornate and sleek collection of ambient space music that we think will you will fall in love with immediately. Nick has raised the bar high indeed. As usual with his work as Susperia-Electrica, the music is cosmic and spacious, with heavenly layers of synthesizers flowing like the river of stars across the midnight sky, with waves of sound caressing each other in an elegant dance of quantum fields and particles, mathematical purity resulting in spiritual enchantment. Such thoughts dance and such images flicker through our mind as we listen to this exquisite album. The production really knocks our socks off. Nick polishes all of his work with a fine eye toward the excellence of the production, but the sound quality of this album seems somehow even more gorgeous than usual. The sound field spans the full one hundred and eighty degrees, and somehow possesses a subtle three dimensional depth that is pure magic. His choices in timbre and loving sound design really shine through as well. Anyone who loves space music or light ambience will bond with this album right away, and will find plenty of detail to make repeated listens very rewarding. Remarkable work by an artist at the top of his game. 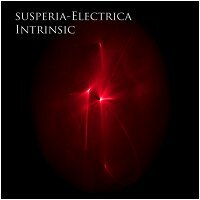 So it is with immense pleasure that we unveil Intrinsic, Susperia-Electrica's latest opus on Earth Mantra. One of the top pure space music releases of 2010, and an album we are truly grateful to be able to bring to our audience. Drift away. Take a stars-reaching journey. A very satisfying mind-body stretch. Agree with previous comments, absolutely amazing album. Wonderful !!! Very much appreciated !!! Thank you !!! Splendid, quality deep ambience for immersion here . . . Only one track with synthvox embellishment distracts from overall excellent amorphous, soundscape'd mood. As a published music reviewer (eer-music.com) and ambient musician (SourceCodeX.com) I give this a 2 ethereal thumbs up. Top-shelf material . . . Very lovely, spacious, open, generally friendly sounds. Easy on the ears, a nice listen. Recommended. A real space music gem and a delight to discover. Immediately sought out "Turmoil" [earman132] by the same artist and downloaded it as well. Bravo!